I wouldn’t be able to cook and get meals done the way I do if it wasn’t for these handy appliances. Here is what I use virtually on daily basis. Lexi ate the whole thing in one sitting. A huge hit. I’ve only recently started making my own juices but that was something on my to-do list for years. Little did I know what a difference it makes in the taste of the juice. If you haven’t tried squeezing your own apple juice or orange juice, come over to my house and I’ll do it for you, because it is SERIOUSLY night and day. It’s like the juices you drink at restaurants and buy at the grocery stores aren’t juices at all, even if they are organic and not from concentrate. 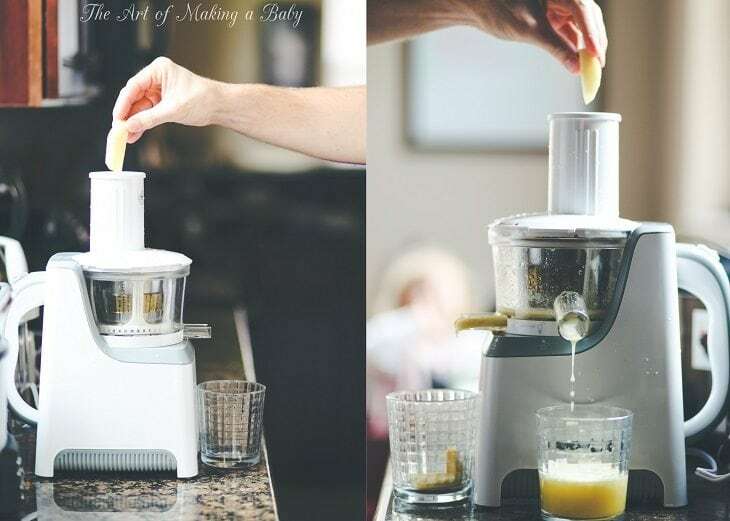 The biggest two complaints I’ve heard about juicers from friends and online reviews are that they are hard to clean and assemble/take apart or that they are too hard to use ( especially when it comes to manual juicers). The juicing part is easy. You throw cut up fruit inside and it pours juice out of one end and waste out of the other. It rarely gets stuck or clogged. I honestly have zero issues with it and it makes perfect juice. 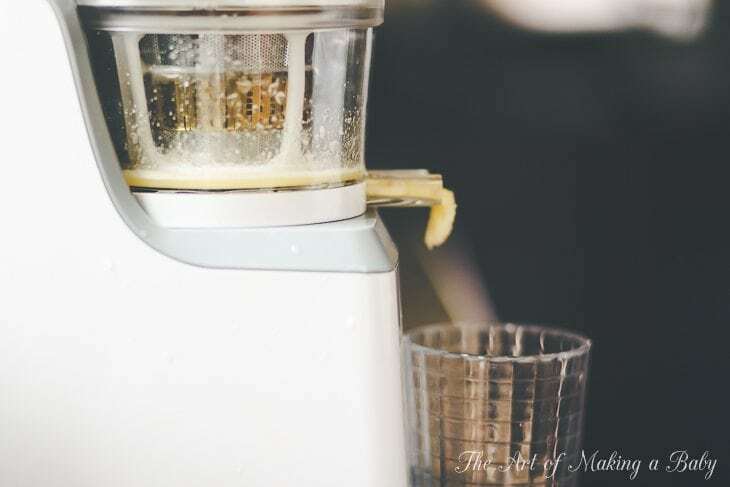 It’s considered a slow juicer which means it takes its time to get out every possible drop of juice from the fruit, preserving vitamins, minerals and all the nutrients. All the materials that come in contact with food are BPA free. While for those of us who eat fruits and vegetables on daily basis, juicing might not be such a big deal, aside from the taste standpoint, for average eaters who rely more on meats or processed food, juicing is almost a must because you can cram so many more fruits and vegetables into a glass of juice than you can actually eat in one sitting. So if you or your baby isn’t a fan of the green stuff, juice it with something sweet and have them drink it – perfect solution! You can find a ton of tasty recipes online by googling “juicing recipes”. I heard about multi-cookers from my sister who lives in Russia who swears it’s the solution of all world’s problems. It really is pretty neat. I have a Cuisinart 3-in-1 multicooker (as you can see from the sticker that I didn’t bother removing for months. lol. Also it’s on sale on Amazon as well.) I am not sure if everyone is familiar with the concept, because I didn’t know what it was prior to her mentioning it. It’s basically like a slow cooker with several settings: slow, steam and sautee/brown. It really is as simple as it seems. You throw a bunch of food inside, close the lid and set the correct setting and the timer. On the saute function they recommend that you stir occasionally but otherwise it really can be left to its own devices. It is especially helpful because I barely have any time to cook, but it’s something I HAVE TO DO, so I try to find ways to make it less of a time consuming process without sacrificing food quality. This cooker works well with both veggies and meats on both slow and saute functions. It’s huge and the finish does not contain any cancer causing chemicals (PTFE/PFOA) that are commonly found in non-stick surfaces (I emailed the company and checked). 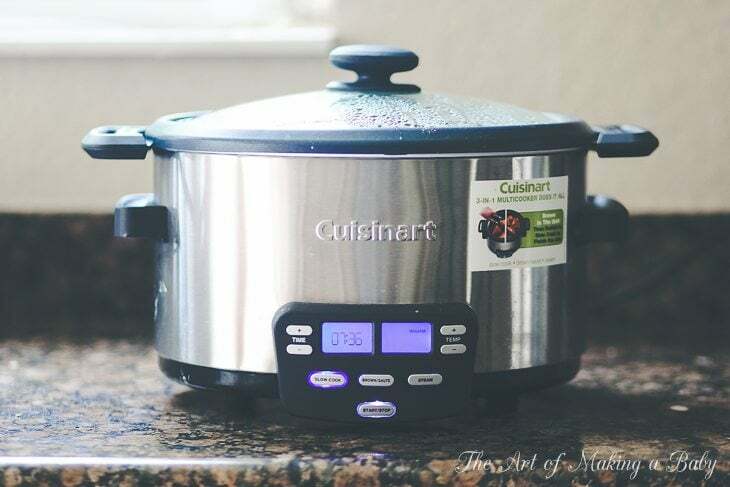 Cooking beans is a breeze on the slow cooker option, vegetables do great on the sautee setting and I would imagine meats would do great in it too. The pot itself is removable so you don’t have to move the whole appliance to clean it or serve food. Temperature can be set custom, there is a timer and my favorite “keep warm” feature. Meals I usually make in it are any type of vegetable combinations, potatoes and mushrooms, beans and peas. 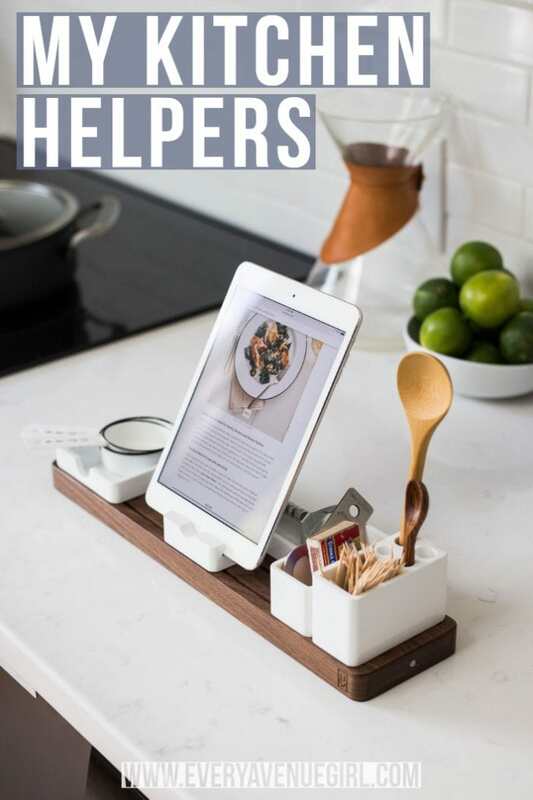 It works out really great because I often make 2-4 meals at a time and this doesn’t have to crowd the stove surfaces. Oh wow, what a tool! I always despised using those big kitchen appliances that chopped things because they were a pain to clean. At the same time, blenders were not up to par either, because they would only puree/chop up the bottom of the food pile and leave the top untouched. You’d have to shake it in order to get the top food down to the blades. MiTutto is like this kitchen “wand” that does pretty much everything. It has a bunch of adapters for aerating, whipping, mixing, chopping, crushing, pureeing food, so it replaces many appliances and can be used in any dish not just the provided one. The two major uses of MiTutto for me are to make purees for popsicle and smoothies and to get vegetables chopped evenly. The even chopping part is pretty self-explanatory and it’s most likely due to the small and evenly sized bowl. But where it really shines, at least for me, is the pureeing part. See, because it’s a handheld wand, when you puree fruits or vegetables, you can control the angle and pressure of it. That makes it easy because you can push down on the fruits/vegetables to force them to mush even if they are “resisting” like it often happens in traditional blenders. Does that make sense? It takes seconds to get things pureed. 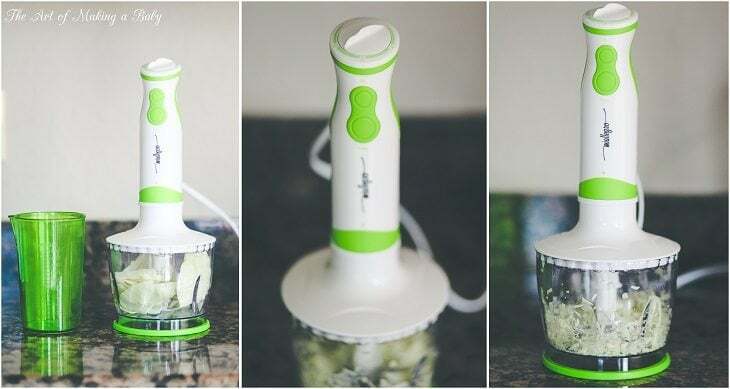 It comes with a convenient measuring cup with a spout for easy pouring: seriously a great tool starting from baby pureed solids to any kind of daily cooking. I wanted to share this amazing popsicle recipe I came up with using the MiTutto wand. The ingredients are really interchangeable and I only came upon this because those were the only three ingredients we had in our house. I would not necessarily recommend any of these brands of ingredients specifically. Normally I would go for an organic peanut butter and soy milk creamer, because the coconut one turned out to have titanium dioxide in it (what?). So if you try this recipe, just replace the ingredient brands with the ones that you like to use. I’ve been asked for this recipe a few times on Instagram – it’s really delicious. Add to the blender or MiTutto cup and blend. Pour into a popsicle mold, freeze. In the summer, I make green smoothies (with spinach, collards, or kale) and freeze them in Popsicle molds. The white chocolate peanut butter pear ones you made sound like a great dessert treat for grownups, too. 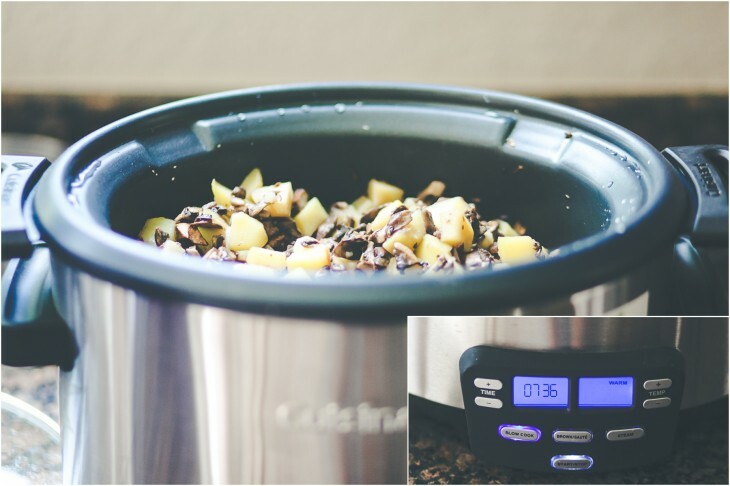 I love my crockpot and hadn’t heard of a multicooker- that sounds like a neat idea. I really need to get into a habit of making smoothies. I’m not sure why I fell away from them. 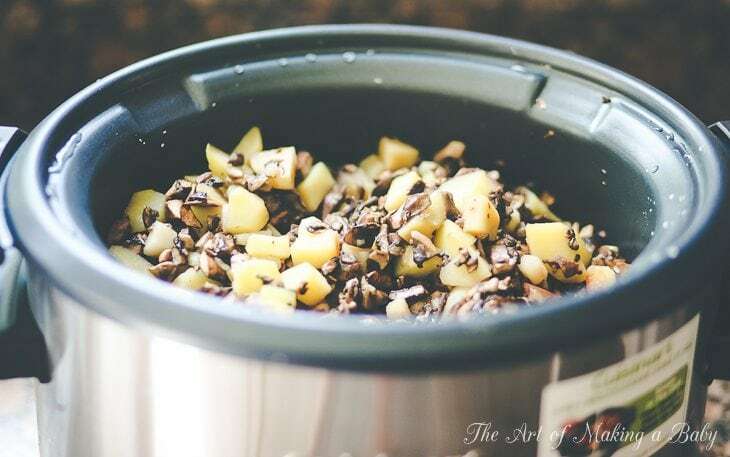 I swear by my cuisinart handlehld blender and my ninja blender for smoothie, I do not use a crockpot or equivalent as I prefer a dutch oven or my tons of pans! Lol. 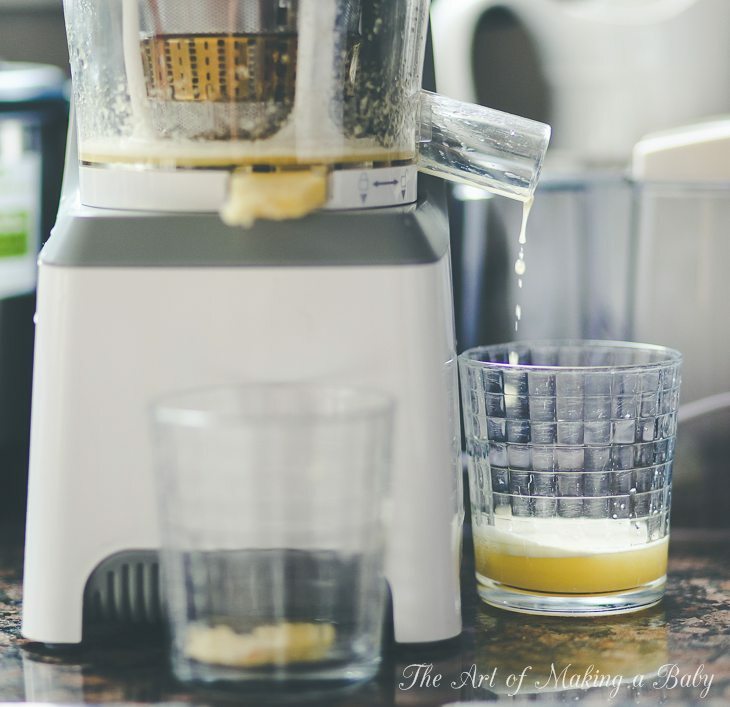 I was wondering if you tried or use a vitamix or blendtec for the green smoothie phenomenon. Thanks! And glad to see your back blogging more regularly. I saw the post on dailymom about travelling with a toddler any more advice for a 5-6 hours flight please? Cheers. Tips for flights: new and fave books, iPad, snacks, blanket, light stroller, pillow to prop your arms when holding them, fly during nap time. I swear by pinhole press story books for situations like that! I’ll write more in detail later but hope this helps. It’s less scary than it seems. Re the 3 in 1 cooker- is it aluminum? I read somewhere it was? If its non stick is there Teflon? Just worried about the materials:) thanks for the info!!! The cooking surface is non stick but without those carcinogens you find in Teflon or non stick surfaces (I verified). I was not able to find a multi cooker that is aluminum inside. Oh then maybe it is. You mean aluminum covered in non stick? Wow! Great products! I love that popsicle maker- and that recipe sounds delicious! We are discussing a possibility but haven’t decided either way. I love the Vitamix and the slow cooker. I have the AllClad one with the ceramic bowl – you can not brown in it, but there are zero worries about the surface and it is very easy to clean! The Vitamix is an amazing tool, from smoothies, to hummus and salsas, to baby food (my little girl just started veggies). I used to have smoothies for breakfast every day for years, but fell off the wagon when we started having kids and mornings got crazy. I still buy frozen berries sometimes, but it just never seems to happen. We used to add frozen acai blocks (like Sambazon) to our smoothies, I esp. like the “Rio” style ones with a little guarana as a sweetener. More sugar but delicious… we only live once, after all. In Brazil they serve those with some granola on top, but I can go without. One thing I absolutely hate in smoothies is kale – never really warmed up to it. I find kale chips disgusting. where did you get the popsicle molds? I am a total popsicle “virgin” – how long does it take for the popsicle to turn into a drippy mess once you give it to Lexi? I am considering adding popsicles to our “rotation” once the weather gets warmer. I probably would not use PB or creamer, but I am assuming we can just start with fruit purees, yogurt, etc. How long do they take to freeze? Wouldn’t use a creamer either but that’s all we have. Almond milk works great.